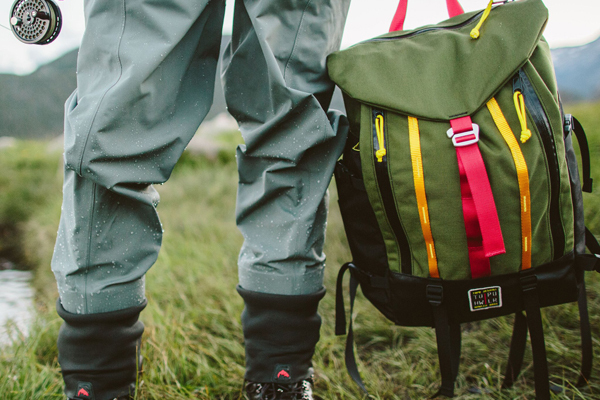 The Topo Designs X Howler Brothers mountain pack, a team effort combining Topo Designs’ unique creative style and Howler Brothers’ passion for water, is a sure hit with outdoor enthusiasts and fashionistas alike. With its simple lines and bright colours, this backpack will attract admiration both on the trails and by the water. Lovers of hiking, fishing and the great outdoors will appreciate the ultra-durable 500D Cordura fabric and the water-resistant truck tarp base, which keeps the pack’s contents dry even in the bottom of a canoe or on surf-sprayed rocks. Colorado-based Topo Designs made a name for itself by hand-making outdoor apparel and accessories. Howler Brothers¾inspired by Costa Rica, but based in Texas, far from the ocean¾has built a solid reputation in designing nautical and sports accessories with talented artisans. Available in limited edition, the Topo X mountain pack retails for $253.